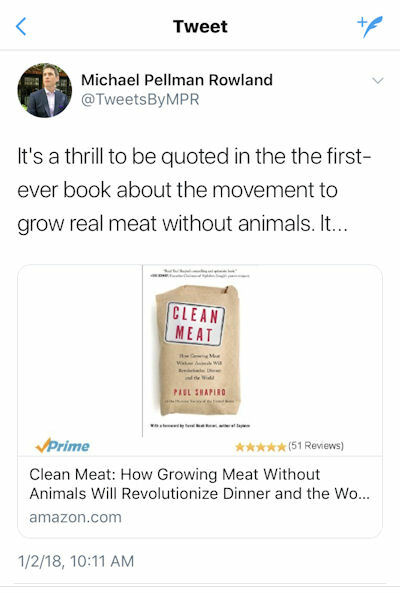 Its funny how every time one of these fake meat outfits put out a press release it seems to get picked up and trumpeted by every major national media outlet, but when the U. S. Cattlemen, the people who are actually feeding the world, do it, it is mostly ignored. I'm not sure that's their argument at all, but since Mr. Rowland's article doesn't quote the petition or post a link to it, I guess his readers will just have to take his word for it, which is exactly how he wants it. So maybe we should look at what ol’ average Joe is dealing with at the grocery store. Beyond Meat boasts on their website that their fake plant meat can be found in the meat aisle of 650 Kroger owned grocery stores. So what kind of dumbass would pick up a package in the meat aisle that is packaged like meat, has the word, “meat” on it, and think that it is actually meat? It seems Mr. Rowland believes that, that would never happen so, “the real motivation is driven by fear.” On that point he just might be right. Fake Meat is NOT FDA Approved. The “average person,” maybe his name is Joe and now when the, "average Joe" is in the meat aisle he has a choice between meat from animals, processed in a USDA inspected facility, and recognized as safe, or something fake that the, “FDA specifically disapproved of,” but is being sold anyway. Soon Joe might be finding meat that was grown in a lab and has been injected with God knows what. Maybe some labels do matter. 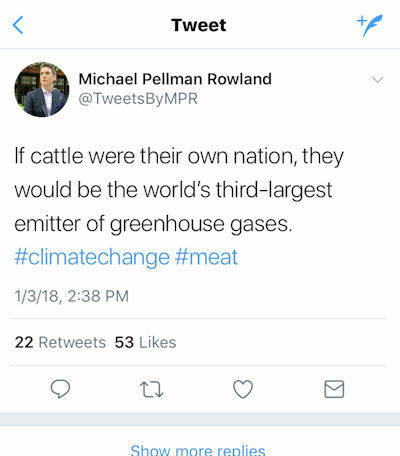 It is obvious that Mr. Rowland’s article was written to convince readers that the fake meat will soon be taking over the beef industry and the USCA are a bunch of fraidy cats, shaking in their boots at the thought of it. The reason he writes this is because he doesn’t understand fear. He thinks that stating that the USCA is, “motivated by fear,” shows them to be scared. The truth is that being motivated by fear, and standing up to it by being honest and open about it, is actually the definition of courage. These are not the tweets of a Journalist but those of an activist. The US Cattlemen's petition simply asks for honest labels so that customers will know what they are buying, and so producers, who work hard to create a safe, quality product, are not lumped in with people who obviously don't care if what they are selling is safe. The media continues to rail against the term, "fake news," but how do you publish an article about a petition and not have one quote from it, or post a link to it? Hiding documents from readers and spewing your biased opinions on them is not reporting. Organizations like Forbes continue to employ and promote people like Michael Pellman Rowland. Who is simply a fake journalist, pedaling fake news, and promoting a fake industry. He does this all while hiding from the truth. Coward is the only label he deserves.